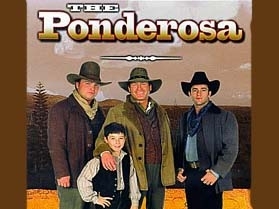 The Ponderosa was a spin-off prequel to the long-running series "Bonanza" and starred Matthew Carmody as Adam Cartwright. Unlike its' predecessor "The Ponderosa" focused less on gunfire and shootouts and more on family dynamics and relationships. This may have led to it's low ratings and the resultant cancellation after one season.